Dr Carla Saunders is a Senior Lecturer in the Centre for Health Services Management. She has over 35 years professional experience in regional, state and national level roles in health management, health planning, health services research, and health policy and program development and oversight. With a background in health care and teaching, Dr Saunders investigates health care from society's perspective, as well as conducting health policy and health management research. Carla holds a Master of Medical Science (Epidemiology) and a doctorate in health service management. 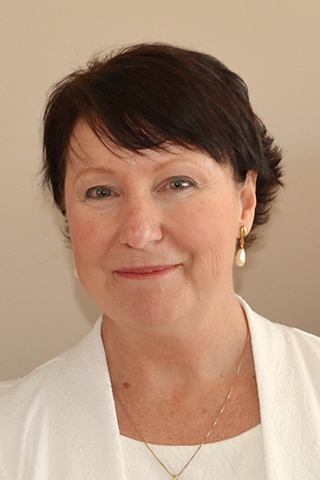 She has worked extensively in government, non-government and private health systems in Australia. Carla teaches in the areas of health management, planning, policy and health consumerism. The home care sector comprises one of Australia's fastest growing workforces, yet few papers capture the overall landscape of Australian home care. This integrative review investigates home care work with the aim of better understanding care recipients and their needs, funding and regulation, care worker skills, tasks, demographics, employment conditions and training needs. Over 2,700 pieces of literature were analysed to inform this review. Results suggest sector fragmentation and a home care workforce who, although well placed to improve outcomes for care recipients, are in need of better training and employment support. Suggestions for future research regarding Australian home care include studies that combine both aged and disability aspects of care, more research around care recipients, priority needs and strategies for addressing them, and how best to prepare home care workers for their roles. The emergent international practice of involving consumers in health research is driven, in part, by the growing share of health research that can only be applied in and emerge from knowledge that is shaped by human values and societal contexts. This is the first investigation of its kind to identify the current prevalence, challenges, enabling factors and range of approaches to consumer involvement in health and medical research in Australia.A nation-wide survey of research funding organisations and organisations that conduct research was performed during 2008-2009.Marked variation in consumer involvement experience and perceptions exists between research funders and researchers. Research funders were over eight times more likely than organisations conducting research to involve consumers in identifying research needs and prioritising research topics. Across both groups, practical and time constraints were reported as key challenges to involving consumers, while guidelines on consumer involvement and evidence of effect were the most important potential enablers. More than a third of research organisations indicated that when consumer involvement was a condition of research funding, it was an important facilitator of involvement.It is no longer simply enough to keep society informed of important scientific breakthroughs. If Australian health research is to take into account important social contexts and consequences, it must involve consumers. A set of minimum consumer involvement standards and associated guidelines, that are agreed and routinely adopted, could ensure that consumers and the Australian community they represent, are given an opportunity to shed light on experiences and local circumstance, and express views and concerns relevant to health research. This is the first investigation of its kind to explore the views of people affected by pancreatic cancer with regard to research priorities. Pancreatic cancer has an extremely poor outlook in terms of early diagnosis, effective treatment and survival. Those affected by the disease generally lack opportunities to voice their needs or concerns in an organised manner, link with others affected by the condition and take part in research.This qualitative study adopts a self-selected telephone focussed discussion group approach. Information was obtained from distinct carer and patient groups after adequate controls such as the 'safe space' technique (repeatedly enquiring on and respecting the emotional needs) were implemented to protect participants from undue physical and psychological distress.Five themes emerged overall, with three themes being common between the patients and carers groups. Early detection, clinician communication and public awareness were areas of recurring discussion and consensus for both groups. The fourth theme to emerge for the patient group centred on quality of care, while the fourth theme of the carer group focused on the need for more and improved treatment options.Research priorities for pancreatic cancer consumers have been identified via an investigation that was tailored to meet exceptional needs. This research gives us a primary understanding of the role that pancreatic cancer patients can play in identifying areas of research that are responsive to their needs and priorities when suitably planned. Importantly it also provides a much greater understanding of the grim realities of the disease for those affected. This work is likely to be of value to anyone planning to work with those with a time limited, challenging condition. BACKGROUND: Breast cancer is the leading cause of cancer death in women in Australia. Early detection provides the best chance of reducing mortality and morbidity from the disease. Mammographic screening is a population health strategy for the early detection of breast cancer in Australia. Recruitment strategies such as regular advertising and biannual screening invitations are exclusively targeted at women aged 50 - 69 years. Even though they can participate, women 70 years or over are not invited or actively encouraged to undertake screening. Research has found that a routine letter of invitation increases the number of women participating in breast cancer screening. METHODS: Cancer data analysis and a literature and policy review was conducted to assess age specific breast cancer mortality rates and the legitimacy of rationale used to limit invitations for breast cancer screening to women younger than 70 years. RESULTS: The proportion of women over 69 years participating in the BreastScreen program is significantly less than rate of screening in the target age range (50-69 years). Evidence and data indicate that common justifications for limiting screening reminders to the target age range including life expectancy, comorbidities, effectiveness, treatment and cost are, for many women, unreasonable. CONCLUSION: There is now sufficient data to support a change in the targeted upper age range for breast cancer screening to improve the existing suboptimal surveillance in women aged over 69 years. The Consumers' Health Forum of Australia and the National Health and Medical Research Council has recently developed a Model Framework for Consumer and Community Participation in Health and Medical Research in order to better align health and medical research with community need, and improve the impact of research. Model frameworks may have little impact on what goes on in practice unless relevant organisations actively make use of them. Philanthropic and government bodies have reported involving consumers in more meaningful or collaborative ways of late. This paper describes how a large charity organisation, which funds a significant proportion of Australian cancer research, operationalised the model framework using a unique approach demonstrating that it is both possible and reasonable for research to be considerate of public values. To identify the values deemed by cancer consumers and community members to be important in judging research, and develop an appraisal instrument for the inclusion of consumer and community values in cancer research funding decisions in an independent review process.Improvement in the level and quality of consumer involvement in research processes is becoming increasingly recognised as an important area of development in research governance. It was identified that while the current practice of selecting research based on scientific merit satisfies the need to fund research with the best scientific quality and potential for success, this may not necessarily satisfy all the needs and expectations of cancer consumers and the wider community.A research team was established to undertake the qualitative study. A combination of focus groups and semi-structured in-depth telephone interviews were conducted to collect and verify information about the values held by cancer consumers and the wider community with regard to research.Consumer review criteria to guide consumers in judging the value of research, optimal rating scales to use with these criteria and views on how consumer needs should be incorporated into the process of judging and allocating research grants (e.g. the relative weight that should be given to scientific and consumer review) have been formally identified by this research.The findings of this study clarify consumer and community values regarding cancer research funding and offer a means to evaluate research that address these values.